HAMBURG, GERMANY - JULY 30: The RMS Queen Mary 2 at the overseas port in Hamburg Harbour. The Queen Mary 2 was visiting the Hamburg cruise days 2008.
hd00:11HAMBURG, GERMANY - JULY 30: The RMS Queen Mary 2 at the overseas port in Hamburg Harbour. The Queen Mary 2 launched for her maiden voyage in 2004.
hd00:09HAMBURG, GERMANY - JULY 30: The RMS Queen Mary 2 at the overseas port in Hamburg Harbour. 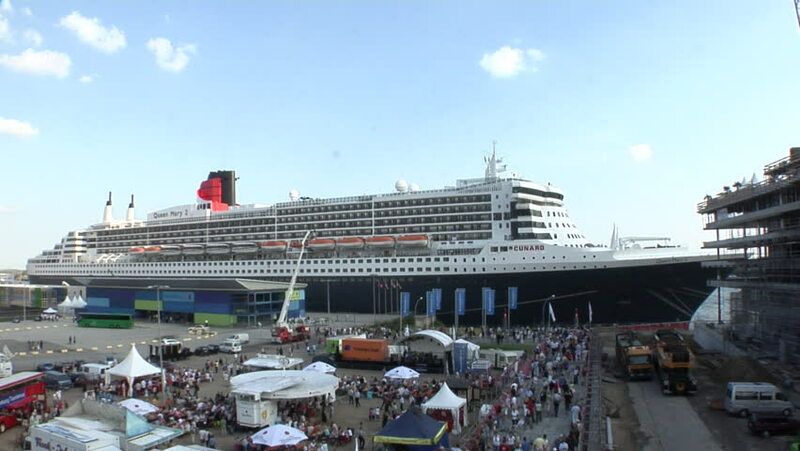 The Queen Mary 2 is currently the longest passenger ship worldwide. hd00:11HAMBURG, GERMANY - JULY 30: The RMS Queen Mary 2 at the overseas port in Hamburg Harbour. The Queen Mary 2 is currently the longest passenger ship worldwide. hd00:08HAMBURG, GERMANY - JULY 30: The RMS Queen Mary 2 at the overseas port in Hamburg Harbour. The Queen Mary 2 was visiting the Hamburg cruise days 2008.
hd00:10LA CORUNA, SPAIN - APRIL 1, 2018: Britannia cruise liner. The embankment and yachts in La Coruna. La Coruna the large city in the northwest of Spain, the resort and the port.